Nenek Jamilah, a widow in the village, lives alone. She is more than 80 years old, but still works as a rubber tapper, earning RM60-70 ($15 USD) every two weeks. She uses that hard-earned money to buy a USB rechargeable lamp to provide light during the night. Although she is pleased with her lamp, she still has to ask for help to charge it and if it burns out, she will have to endure long nights by candlelight until she can save enough money for another one. Nenek’s village, like many other orang asli (original people) communities in Pahang, still do not have access to electricity. As a result, they resort to burning oil lamps, palm kernel lamps, and candles. Global Peace Foundation (GPF) Malaysia volunteers and staff experienced this first-hand when they spent the night in Kampung Padang, joining a family sitting in front of their wooden hut. 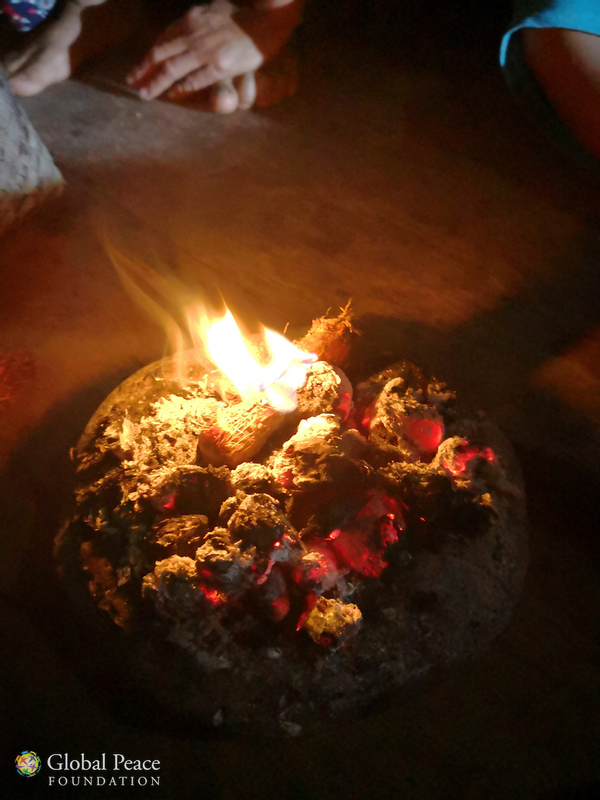 It was 8 p.m. and the family had gathered around a small fire made by burning palm kernels. There was a lot of smoke and the heat became unbearable after a while. Nordin, the family’s elder, explained that they only keep the fire burning for an hour at most. When it becomes too hot, they put it out and go to sleep. There is nothing else they can do under the blanket of darkness, such is their life. Families that can afford it will pay for short-term solutions like batteries, power banks, and fuel-powered generators. Heavy duty 6V batteries and power banks can be used to power small electronics and bulbs while a generator can power televisions, fans, and lights for several houses. They are also able to charge their mobile devices, which are important for work and in emergencies. The alternative would be travelling to town to charge their phones for RM1 an hour. However, the generator costs at least RM5 to run for 3-4 hours and batteries have to be replaced time and time again. With low and unstable sources of income, it quickly becomes a hefty and worrying expense for these families. The All-Lights Village solar project is an ongoing GPF Development program that has been changing rural lives in countries around the world, including the Philippines, Korea, Japan, and Cambodia. The project combines solar technology with clean water solutions, education, income generation, and public-private partnerships to improve the overall quality of life in villages like those in Pahang. Each person and village have different needs, so tailored solutions consider factors like daily energy consumption, average household income, and suitability. 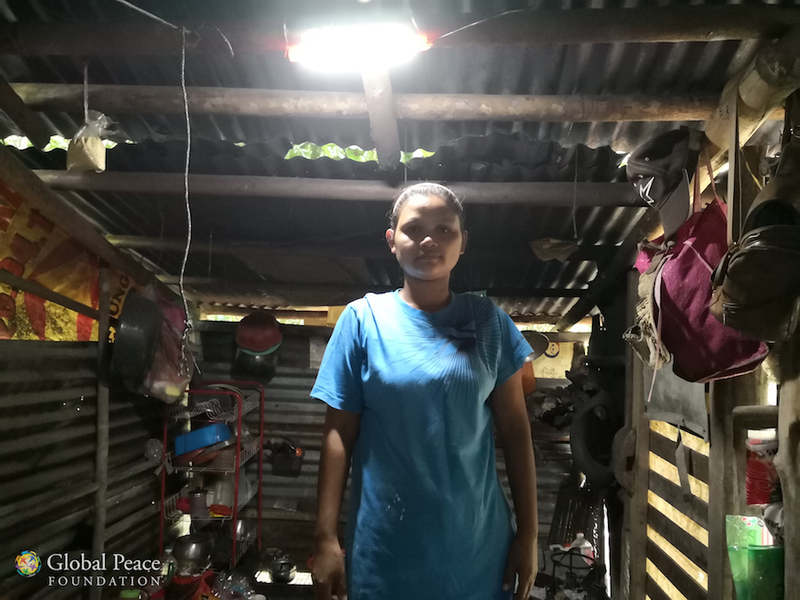 In villages with no sources of energy and low-income, GPF provides partner-funded solar home systems that consists of a solar panel, two light bulbs, a tube light, a flashlight, phone charging USB port, and a battery pack. It provides 6 to 24 hours of light depending on usage, which is enough for nighttime use and phone charging during the day. GPF staff conduct a training and demonstration session to ensure that everyone understands how to use, install, and maintain the system. The endeavor involves the whole village, so everyone helps each other and routine visits ensures there are no problems with the solar system. The impact of providing a village with a sustainable form of energy does not just end with them having a few hours of light at night. The money that they save on spending for fuel and batteries can be invested in their children’s education, food, and personal savings. They can be more productive at night; mothers can do housework in well-lit conditions, children can study and read, and families can stay connected to each other through their mobile phones. Solar energy is environmentally-friendly and does not produce smoke that pollutes the air and can potentially be a health hazard. For many of the orang asli living below the national poverty line, All Lights Village project can be a way for them to lift themselves towards a better and brighter future. 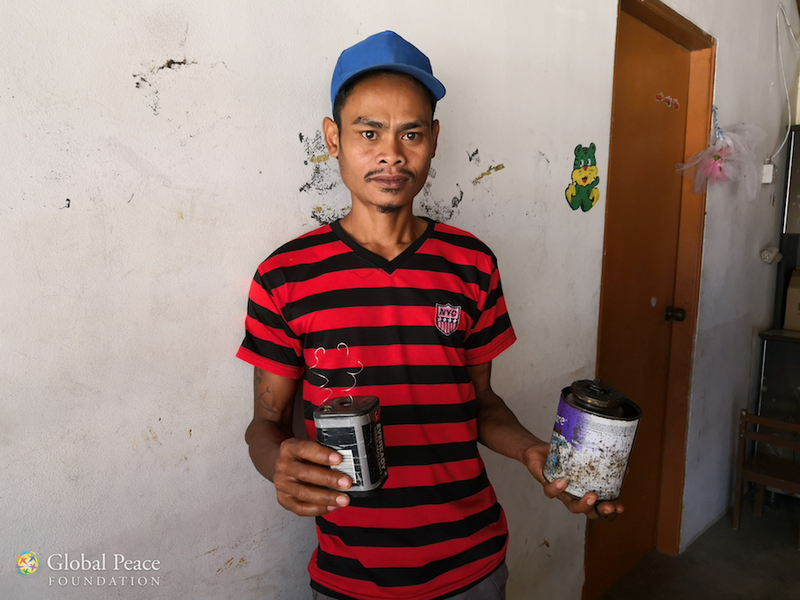 Learn more about the All Lights Village project and sign up for monthly newsletters for the latest from Global Peace Foundation.